Former White House press secretary Sean Spicer is speaking out on everything from Trump’s trade spat with Canada, the inauguration crowd size debacle, and what it felt like to be lampooned by Melissa McCarthy on Saturday Night Live. In a Canadian exclusive interview with CTV’s Richard Madan ahead of the release of his new book, Spicer says that he doesn’t think a trade war is good for the economy, although he “gets the tactic” by U.S. President Donald Trump. “By and large, it’s been a good agreement for our country but there are a lot of people left out,” he adds. Spicer also responds to the allegation that he lied when he said in January, 2017 that Trump drew the “the largest audience to ever witness an inauguration” – a claim that was easily contradicted. Spicer says his claim was based on the best information he had available at the time. Spicer also suggests he should be forgiven for the famous gaffe made in February, 2017, when he referred to Prime Minister Justin Trudeau as “Joe Trudeau” at a daily White House press briefing. “I know that Justin Trudeau is the prime minister of Canada. But when you’re trying to remember every prime minister and president’s and deputy prime minister’s name who might be in the orbit, yeah, once in a while ... you juxtapose a name or get a fact wrong,” he says. Spicer says that during his time in the White House Trump did write his own tweets, apart from some scripted ones about events, for example. 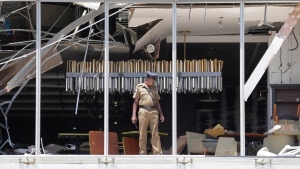 “Back in the residence, usually in the evening or early in the morning, those are 100 per cent him,” he says. Spicer admits his job wasn’t easy and says he was often surprised about something the boss had said or done. 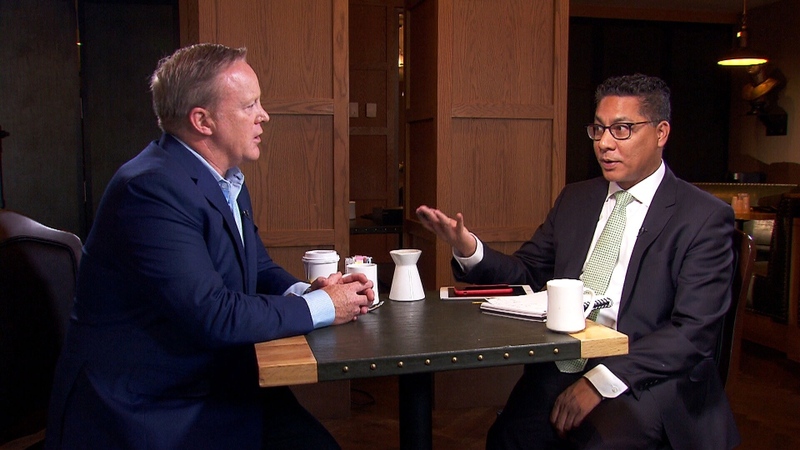 Former White House spokesman Sean Spicer sat down with CTV's Richard Madan for a wide-ranging interview.